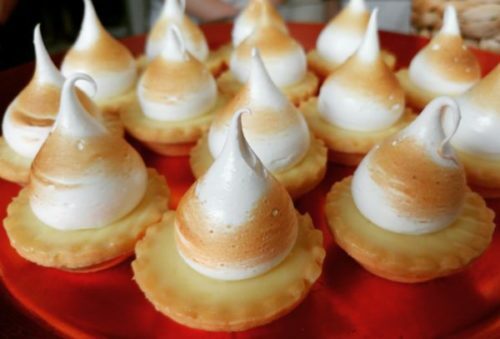 Join Us on a Delicious Tour! 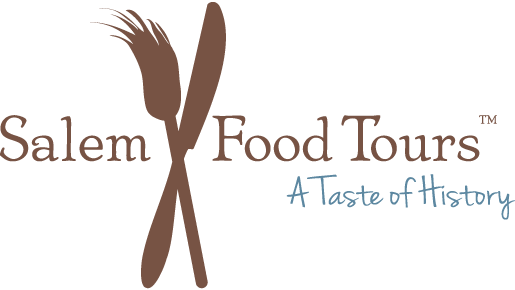 Salem Food Tours are the original guided food and cultural walking tours of historic Salem, Massachusetts, and the North Shore. 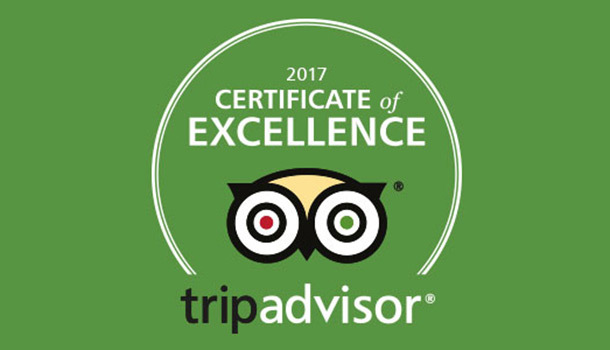 Founded by Karen Scalia in 2012, our award-winning Tours are the perfect way for food and wine lovers to explore Salem. 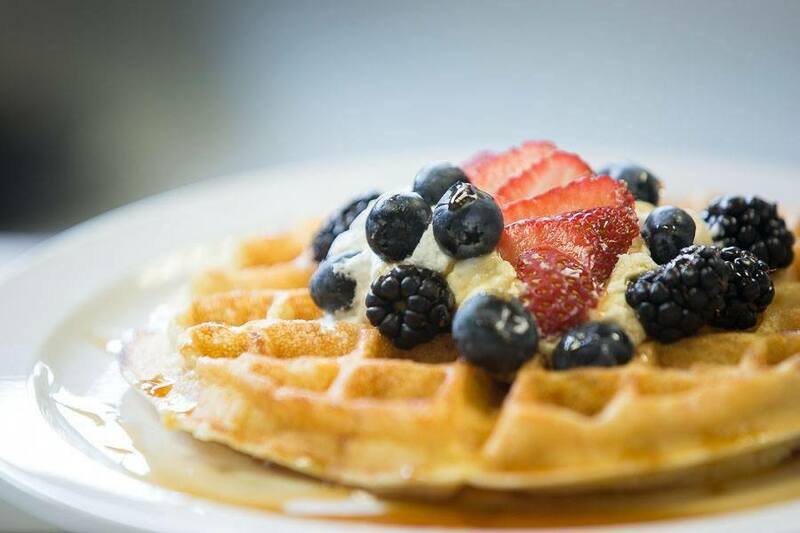 Enjoy tastings at some of Salem’s best food shops and restaurants. 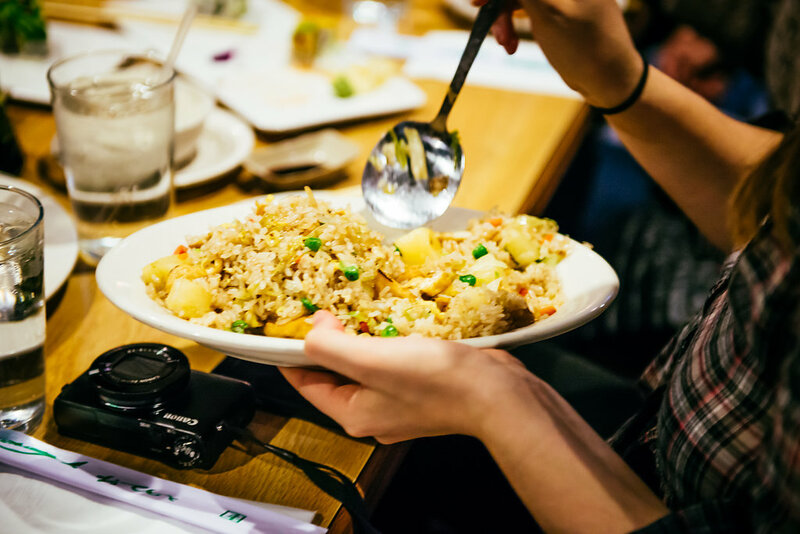 Get to know locals, enjoy with talks with chefs and fellow food lovers. Learn about early colonial dinners, local history and culture, Salem’s illustrious maritime spice trades and more. With today’s culinary renaissance and Salem’s renowned food scene, locals and visitors on our Tours agree—Salem is truly a vibrant, fun, and delicious place to explore! 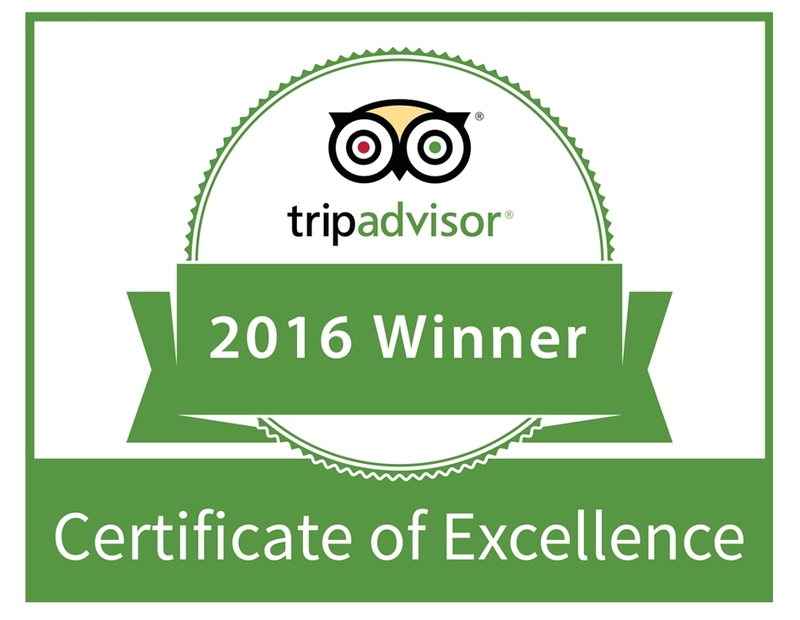 We are truly honored to have won Trip Advisor’s Certificate of Excellence for the fifth year in a row. 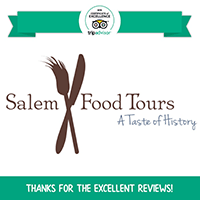 Salem Food Tours has been one of the top activities North of Boston since its inception. 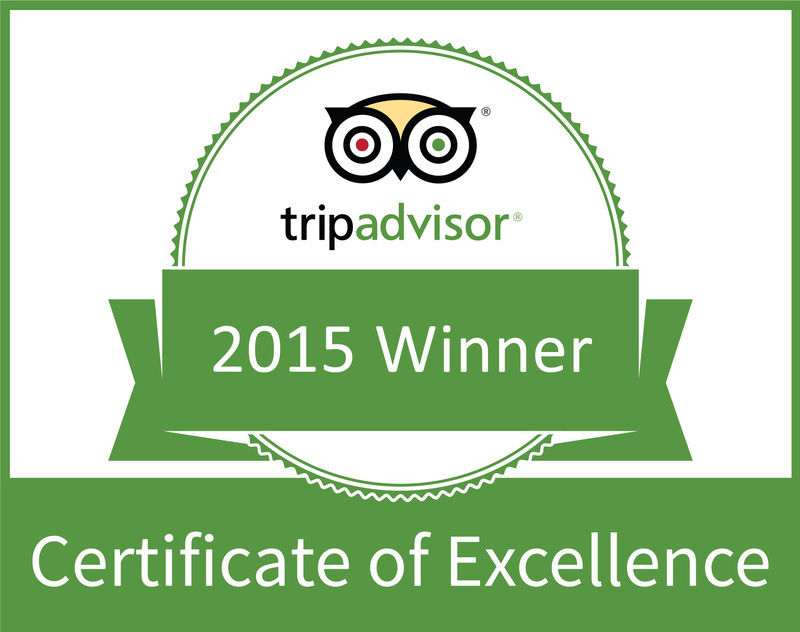 Thank you to all our wonderful guests for your kind reviews! We’re looking forward to a delicious and fun 2019! 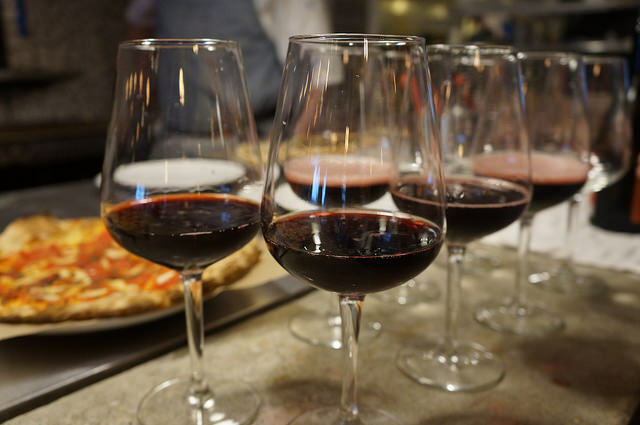 Salem Food Tours offers a variety of Tours year-round, including our Food Tour, AM Coffee Walk, Weekend Kick-off Strolls, and specialty crafted Corporate and Private tours. We also offer focused and seasonal Tours during the year such as our Bridal Tours, Vegan Tour, Holiday Strolls and our delicious sipping Tour, the Salem Spirits Trolley. Keep an eye on our blog and social media for special events notices, and sign up for our eNews to stay up with local food happenings and more. A tour even life-long Salem residents will enjoy! A feast for history and food buffs!